Meet Latoya and Armand! I was so incredibly lucky to have these two ask me to photograph their wedding just a few short weeks ago. 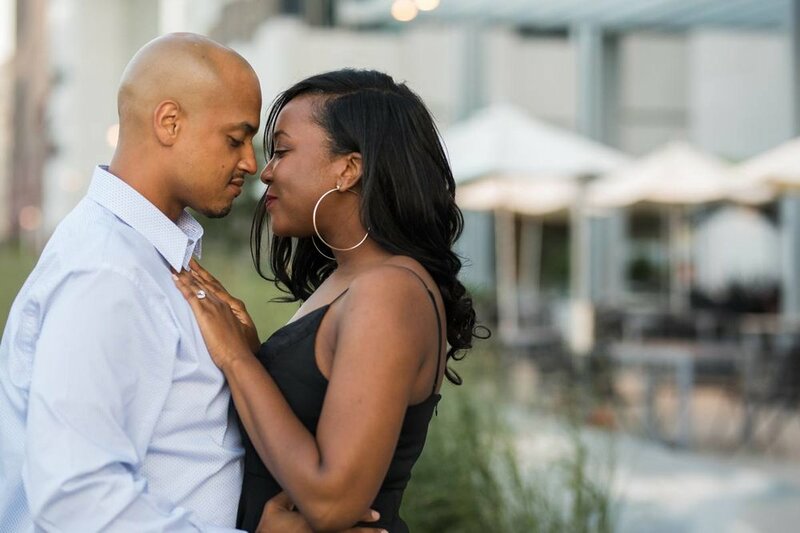 I suggested an engagement session in downtown Cleveland, to meet each other, and get to know one another. The session quickly turned into a fun event that left me so excited for this coming Saturday! Are they perfect or what? 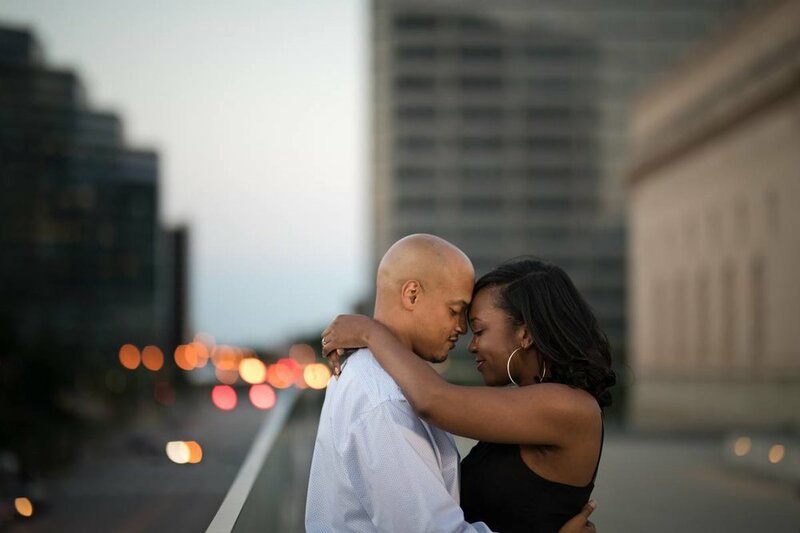 Wardrobe change, glamming it up outside the Downtown Hilton, one of my favorite venues to photograph couples ! I have a sweet little story to end this post- Latoya and Armand told me that they snapped a photo of themselves on East 4th street ten years ago, almost on the spot. I asked them if they knew that they would be here having an engagement shoot and getting married. Latoya said they were just kids with a smile, but Armand said that he knew it would happen all along, especially ten years ago. We just love romantics .